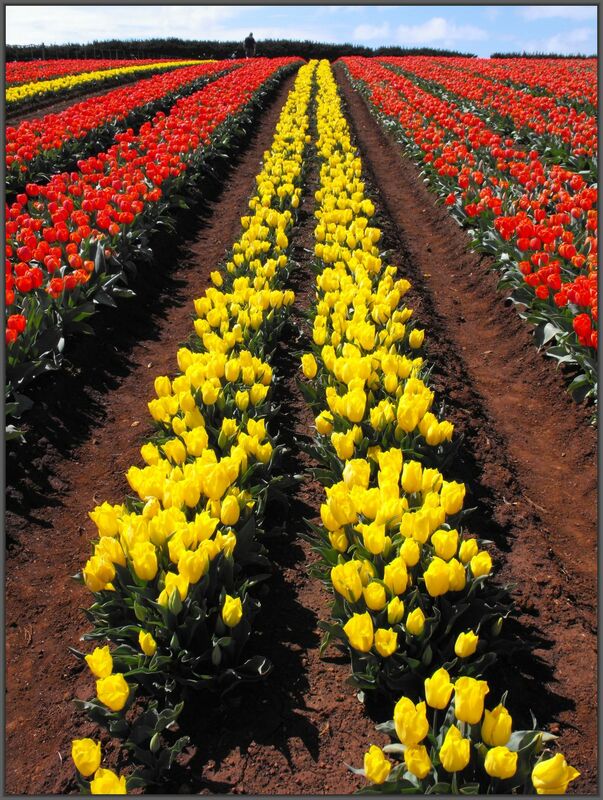 Growers and suppliers of quality tulips, daffodils, Dutch iris, liliums and more. Free colour catalogue. Farm shop open weekdays all year. Featuring spring bulbs Feb-May, Summer bulbs July-Sept, souvenirs etc. Fields in flower late Sept-mid-Oct (small fee). Online shop. Mail order. As a full time horticultural and agricultural business there is always something happening at Table Cape. Whilst the most visually stunning time is in spring, there is still activity at all times of the year. 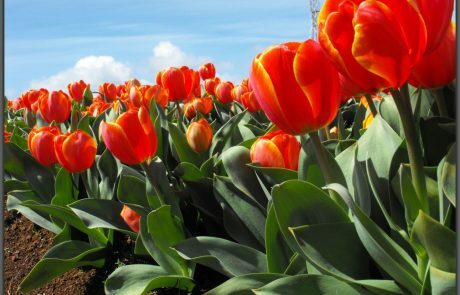 Go to Spring Time at Table Cape to learn more about what happens during that magical time of year. Summer:The farm starts to dry out, so irrigation begins. 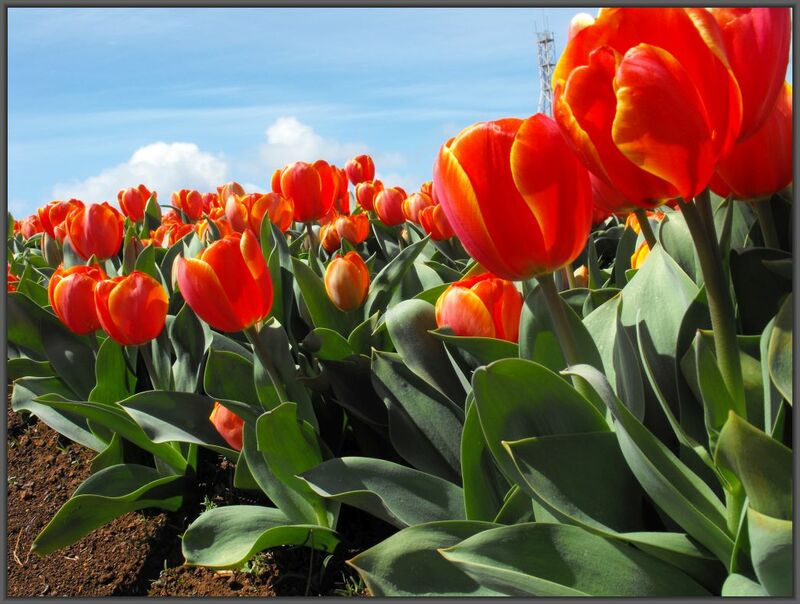 We harvest our tulips and Dutch iris ready to grade and send. Lilium and Dutch iris flowers are often for sale at Table Cape and sent across Australia. We are also harvesting poppies and starting to harvest onions. The Liliums are flowering, but they don’t last long because we cut the flowers off to encourage the bulb to grow larger. Our Spring flowering bulbs mail order catalogue is posted to all those on our mailing list. 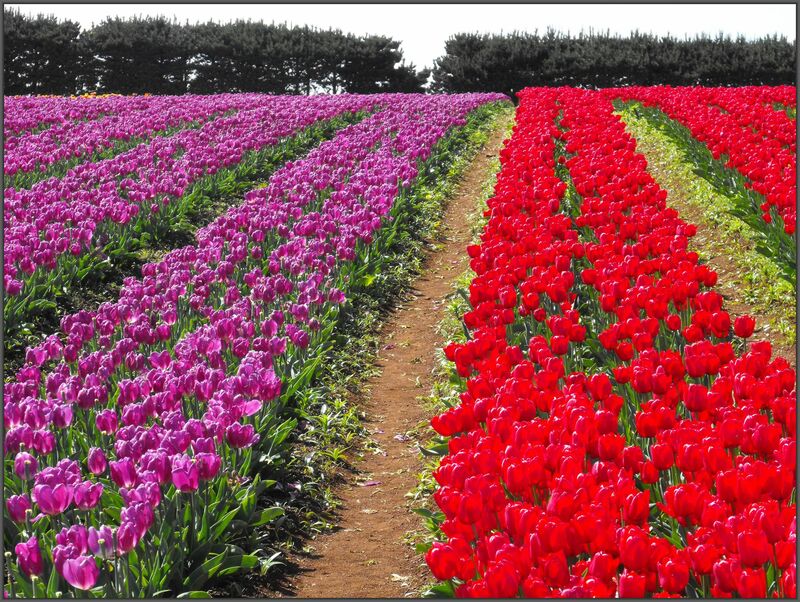 Autumn: Come and visit in March and April to buy Spring bulbs straight from the farm. We are busy packing and sending out bulbs from our Spring flowering online store and mail order catalogue. We’ve just got those out, when it’s time to post the Summer flowering catalogue. Our Dutch iris are planted in March and tulip planting is in April/May. Onions are harvested. Lilies are slowly dying back, getting ready for harvest. We plant out our own gardens with daffodils, crocuses, hyacinths, anemones, freesias, and ranunculus. Winter: Cool conditions on the farm make it time to lift the liliums from the ground – so we cross our fingers for enough dry days in a row! Summer flowering bulbs are for sale at the farm, and are being sent all over the country to those that have ordered. The sheep on the farm are lambing and the daffodils in the garden are starting to bloom. 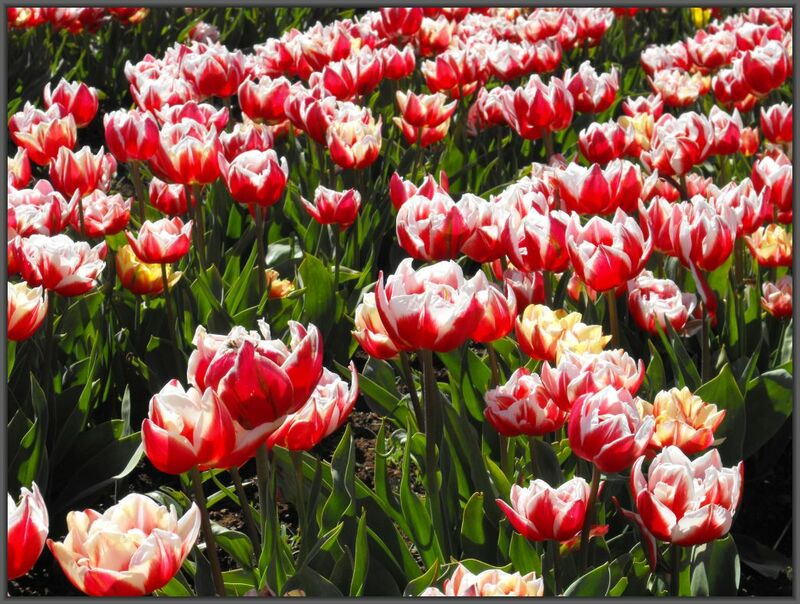 Tulips are just starting to poke their noses through the ground. We will plant our gardens with Oriental, Asiatic, LA, OT, Longiflorum Lillies as well as Gladioli and Zantedeschia. Spring: This is the most exciting season on the farm. 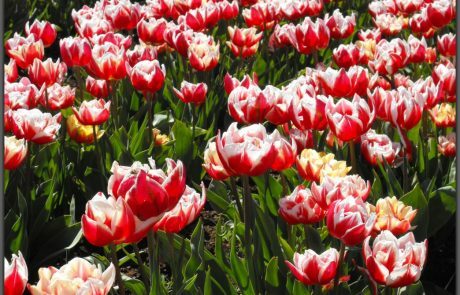 Tulips are flowering and thousands of people are tip toeing in the fields and admiring the gardens. Pots of bulbs and flowers are available from the farm. Later the Dutch Iris are flowering. And to really fill our days, the liliums are being planted. 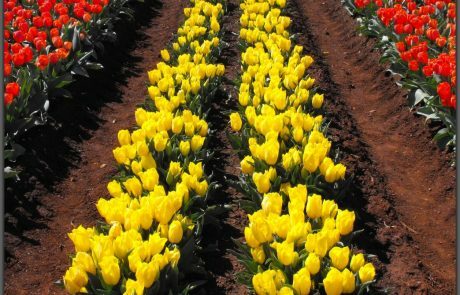 In 2016 the Tulip Farm Open Days will run from 24th September until 16th October.